We are located in St Cugat del Valles, just across the street from the Trade Center. We aim to improve the life quality of pets and their relationship with their families. Pets are our vocation, and we never stop training to provide the care they deserve. We help some animal organizations, to take care of all pets. What you pay supports our outreach program. “My dog is dominant …” is a rather common expression nowadays to describe a dog’s character. It is used for animals who pull on the leash, jump on to the couch / bed, cross the door before their owners, or show unwanted behaviors towards other dogs or people in certain contexts. Is This Expression Used Correctly? Categorically: no! Dominance is defined as the percentage of successes of a dog when competing for resources with another individual — “resource” meaning food, toys, water, caresses … Therefore, dominance – submission is something that happens between 2 animals, not the character trait of an individual. Also, the dominant animal in the dispute for a resource does not necessarily win every single time. The term dominance has been used for a long time, incorrectly, due to the theory of the alpha male / female — the leader of the pack. This theory defends that some animals who are born with a dominant temperament, and their aim is to take on the . . .
Veterinos Veterinary Hospital is changing its schedule. Starting September 2, 2016, the center will be open from Monday to Saturday, from 8:00 to 22:00 h. The current emergency shifts will thus be discontinued. The purpose of this change is to recapture Veterinos’ original warmer spirit, consolidating the busiest shifts to provide a more personalized care. The professional team and the services will remain the same, with the exception of emergencies, and long term hospitalizations. These two services will be derived to the reference center Veterinary Hospital Molins, only 20 minutesaway from Sant Cugat. By ceasing to open 24/7, Veterinos will relinquish its condition of veterinary hospital, and become a clinic, in accordance with the regulations of the Association of Veterinarians in Barcelona (COVB). The company will adopt, consequently, the name it had in its beginnings: Veterinos Veterinary Center. This decision comes after a long period of collective reflection on the part of . . .
Kidney disorders are a very frequent cause of consultation to veterinary centers: every one in three cats develops some kind of renal disease in their old age. Unless it is diagnosed, and treated in time, chronic kidney disease (CKD) has very serious consequences. Veterinos Veterinary Hospital offers a new service at a package price including: Visit and exploration. Specific test. Report or, if the results are positive, follow-up visit. Prescriptions, and recommendations according to the results. Currently, kidney disease can be diagnosed doing a test named SDMA, by the IDEXX laboratories. It uses very sensitive biomarkers that let us to evaluate the renal function, and detect problems at an early stage. It is the most trustworthy test at the moment, and it helps us reach a diagnosis even if the cat is not showing yet clinical symptoms. Thus we can start the treatment before the damage to the kidneys is irreversible. Having an earlier diagnose helps determine the actual cause of the . 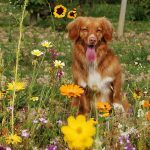 . .
Magda Costa | Veterinos Hospital Veterinari 24h A large number of decorative plants are potentially poisonous for pets. In some cases, the simple contact with them can cause skin reactions, and in others it is eating them that does some sort of harm: from a simple rash to gastrointestinal trouble, neurological disorders, respiratory distress, or cardiac alterations. Although often the effects last only a few days, a severe poisoning can be fatal for our best friend. The level of danger depends on many factors, such as the dose, species, size of the animal, age, or previous conditions. The toxins might be in the leaves, stems, flowers, or fruits, ever present, or associated to a certain season, like poinsettias. Before buying a plant for your home, seek information about it. Be careful as well during walks, and prevent your pet from rubbing against or swallowing unknown plants. We need to be especially watchful with pups, for they nibble everything at hand, and are not exactly cautious . . .
We are fortunate to live in a city with plenty places to go stretch our legs, in the company of dogs or without them. We have a rather well kept city center, a very neat boulevard, a few squares, and a nice pedestrian zone. There are days and times, however, where we better stay away from there to spare our pets the stress: strollers, skateboards, and scooters flying by, and people on foot too distracted by the good company to pay attention to what goes on at shin level. So, the best of Sant Cugat for dogs are the parks: Collserola, la Pollancreda, Ramon Barnils, the gardens around the Monastery, Can Vernet and Volpelleres, Víctor Català, Parc Central … Each one has its character, culture, and usual suspects. We would not be doing our duty, however, if we did not remind to you that there are city ordinances to comply with. In all public areas dogs must be on a leash, except in the “socialization areas” (otherwise known as dogs parks) set up by the council. If our dog is . . .